Last month saw over 7000 greenkeepers from all over the country making their annual pilgrimage to Harrogate to attend the British Turf Management Exhibition (BTME), Europe’s largest gathering of turf care professionals. 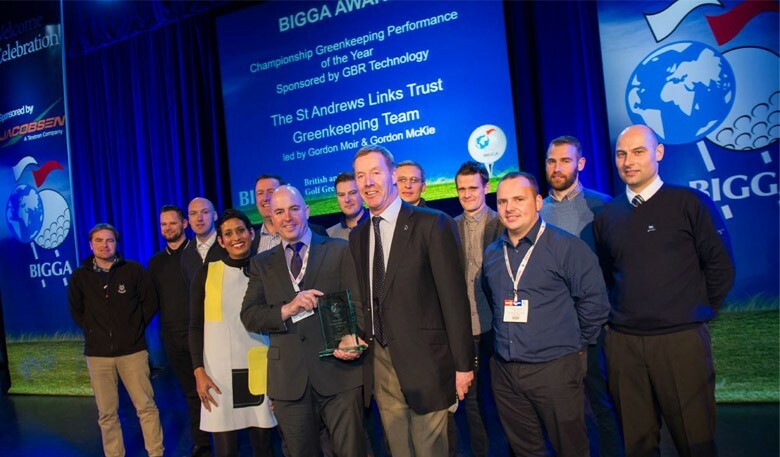 At this year’s event I’m proud to report that St Andrews Links were recognised by BIGGA with the Championship Greenkeeping Performance of the Year award for our efforts during the 144th Open Championship. 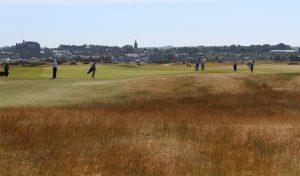 Last year’s Open Championship was forced to conclude on the Monday for only the second time in history due to extreme weather conditions. There was a three hour suspension in play on the Friday due to torrential rain which flooded the course. 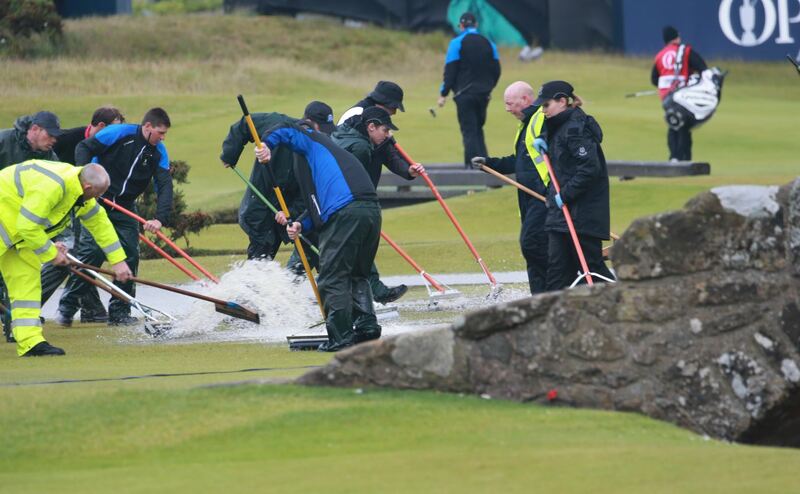 Over 70 greenkeepers were famously photographed sweeping and pumping huge amounts of water from greens and fairways to allow play to resume mid-morning. 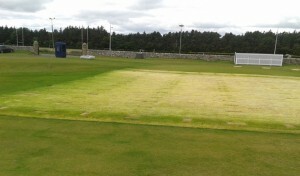 Then with winds in excess of 50mph the following day, play was again suspended. During a lengthy break in proceedings, our greenkeepers waited patiently to get back out on the course and worked into the night to prepare the Old Course for a jam packed Sunday schedule. This was an extraordinary effort by all the Links staff and Director of Greenkeeping, Gordon Moir, Old Course Course Manager, Gordon McKie and members of the Links greenkeeping team were present to collect the accolade. Aside from the awards, BTME comprises of various ‘continue to learn’ education programmes alongside a trade show where the turf industry exhibit the latest products and technologies. The education programme offers a variety of different seminars and workshops with something on offer for everyone. This gives us an opportunity to send members of our team to continue their education. 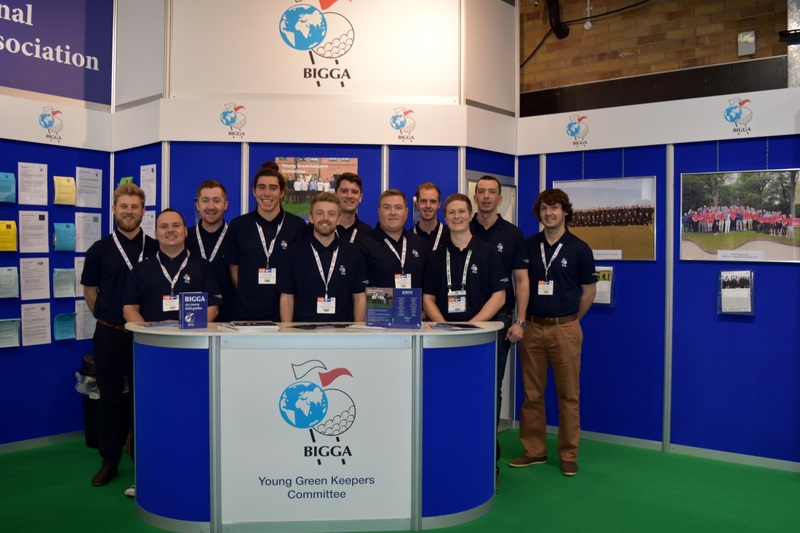 The Young Greenkeeping Committee (YGC) was created by BIGGA to break down barriers for young greenkeepers entering the industry and help them benefit from what the community has to offer. Made up of 15 representatives under the age of 32 from around the UK, I represent the Scottish region. We communicate regularly and attend two official meetings each year – one of which takes place at BTME. 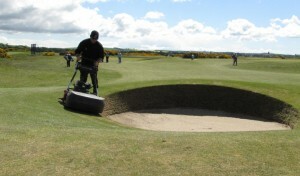 Thus far we have helped put on tournament experience for young greenkeepers at this year’s Open Championship and Scottish Open as well as running a ‘bunker camp’ at Dunstanburgh Castle Golf Club which teaches different techniques on bunker building. This is a fantastic group to be involved in and we hope to help encourage more young talent to our fabulous industry. A big thanks to BIGGA, the event organisers. We’re already looking forward to BTME 2017!